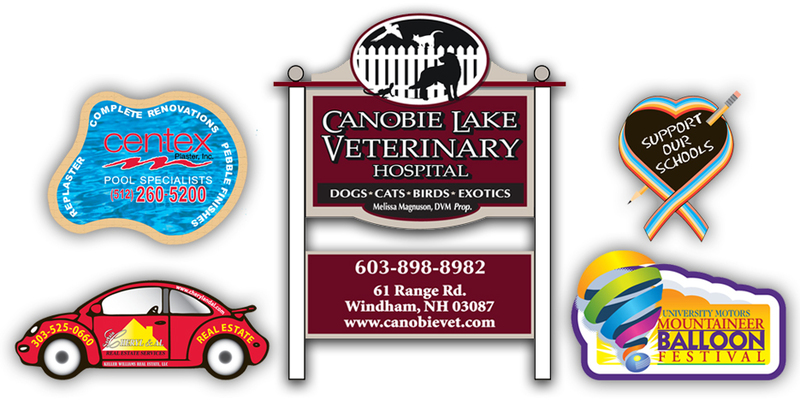 Our vinyl die cut magnets are .020" thick. Printing is offset lithography on paper. The paper imprints are laminated with ultra clear mylar film, applied to vinyl magnet material and then die cut. Custom cutting dies insure clean cuts and tight registration.